Is it possible to prove the existence of God without using the Bible? And can David make it through a conversation about God without invoking scripture? 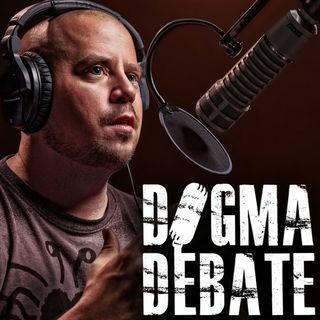 Tom Peeler uses philosophy and logic-based arguments to make his case for God. Goddamn David, you've gotten so much better from years ago. Love listening. OR there might be some NOTHINGNESS SOMEWHERE. Yes there HAS always been something. ENERGY. The If this then that only works as long as no other explanation can fit. If the grass is wet doesnt mean it rained. It could have been sprinklers. Elephants mourn their own dead therefore God doesn't exist. Now I'm convinced. Smalley is definitely in over his head. It's clear he realizes this right away because he never lets this guy complete his statements or any of his premises. Maybe this guy is wrong but we don't know because Smalley never let's him finish. It's so obvious early in the conversation that Smalley wants to move from what this guy is saying to something David wants to talk about. Then he uses his typical tactics by using his ignorance and confusion as red herrings. At least Tom realizes by the end that he's dealing with someone who just simply lacks understanding. One of the only accurate things Smalley says is that he does this for a living. That statement says a lot! I think Tom forgot about Emperor Constantine that had to take christianity as the Roman religion at appoint of a sword to save his empire. Christianity was not past just by the word.